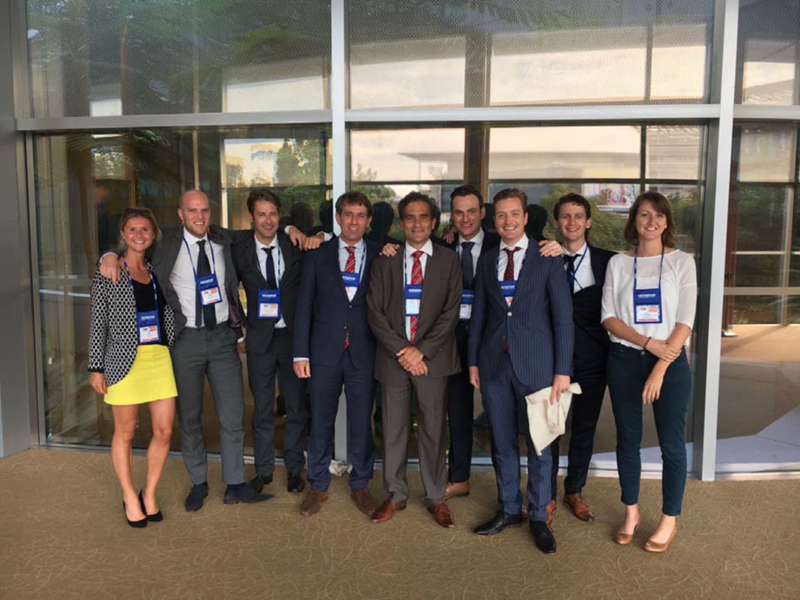 Het UMC Utrecht is dit jaar de organisator van het Europese slokdarm congres European Society Diseases of the Esophagus. Experts vanuit de hele wereld komen naar Utrecht om ervaringen en nieuwe behandelmethoden te bespreken. Organisatoren zijn Prof. Richard van Hillegersberg, Dr. Jelle Ruurda en Prof. Peter Siersema. Two precourses will be organized prior to the ESDE: Minimally Invasive Esophagectomy (MIE) and the IRCAD course on Flexible Endoscopic Interventions. Both courses will give you the opportunity to come into contact with and learn from international experts in both fields. Interesting lectures will be given by keynote speakers and in hands-on sessions you will get the chance to enhance your own skills under expert tutorial. precourse is your chance to learn all about MIE from experts in the field! dilatation, the POEM procedure, and management of intrathoracic anastomotic leakage will be discussed. In the afternoon there will be a hands-on session under expert tutorial. scientific knowledge on the latest developments and emerging challenges in the field of malignant and benign diseases of the esophagus. The venue of the program is ‘De Winkel van Sinkel’, located in the city center and will provide the perfect setting for this important meeting. surgery. The session concerning benign diseases of the esophagus will concentrate on GERD, achalasia, diaphragmatic hernia and challenges after paraesophageal hernia repair. are opportunities to meet world renowned specialists in all fields of esophageal diseases. tableaux, and all kinds of impressive trees along the canals, some of which are over 200 years old! A welcome reception will be hosted on the 8th of November, starting at 18:00h. At this reception you will have the opportunity to socialize with old and new friends and colleagues while enjoying a drink and a bite. currently employed to host PhD defenses. Tickets for the congress diner can be purchased upon registration. of the estates dates back to the 13th century; the original castle, however, was destroyed by the French in 1672, leaving only the foundation. The current castle was constructed in 1770.